Acapulco, on the coast of the Mexican state of Guerrero, is considered to be the third most violent city in the world, after San Pedro Sula in Honduras and Caracas in Venezuela. In the first six months of 2015, 524 violent deaths by homicide were recorded in the city. High levels of violence affect most of its inhabitants, including those from the Colonia Jardín district where, in 2014, Médecins Sans Frontières/Doctors Without Borders (MSF) launched a project together with Health District 07, the Municipal Department of Health and the Acapulco branch of Pastoral Social, offering psychological services, and also care for survivors of sexual violence. María Simón, the project coordinator, has just returned from Acapulco. “Acapulco, known as an international tourist destination in the 70s and 80s, is currently affected by the brutal dynamics of clashes between different organised crime groups that are vying for control of the city. The rise in violence has had devastating humanitarian consequences for the population – murders, injuries, forced disappearances, kidnappings, extortion, forced recruitment of minors, systematic threats to the population, forced displacement and a clear breakdown of the social fabric. The people living in the peripheral 'colonias' (districts) are exposed to the dynamics linked to violence on a daily basis. Since the outbreak of violence in the city, they have had to adapt their habits at personal, family and community levels. The 60,000 inhabitants of the Colonia Jardín district where MSF works, suffer a high level of exposure to potentially traumatic events. The suffering experienced by relatives of murder victims and missing persons, victims of kidnapping and extortion and people displaced by violence, has a strong impact on mental health. MSF psychologist consultation in Colonia Jardín district. Violence also causes a breakdown in the social fabric, with increased rates of school dropout, domestic violence, unemployment, suicide and a general lack of opportunities. In the area of mental health, the project has six points of care located in health centres and a parish church, where psychotherapeutic services are provided to individuals, families and groups. Our psychologists are verifying on a daily basis that the consequences of violence are devastating for this population – symptoms related to anxiety, depression and post-traumatic disorders are frequent. We provide care to people who, having suffered or witnessed extremely violent events, have serious difficulties when it comes to moving on with their lives. They isolate themselves from their surroundings, they relive what happened over and over again, they have trouble thinking clearly and they suffer sleeping and eating disorders. With regard to sexual violence, the care offered to survivors is seriously deficient given that it does not guarantee victims receive appropriate emergency medical care. 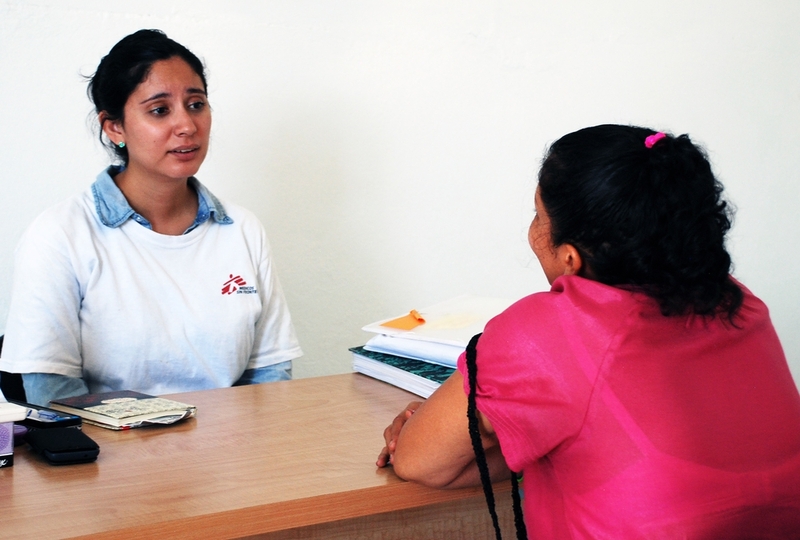 MSF provides comprehensive care for survivors and has a doctor who is strengthening the capacities of the public health system and its staff. This strengthening is done through providing training on Mexican legislation in this area, which does guarantee comprehensive and confidential medical care for survivors. We also want to ensure that victims of sexual violence have access to high quality comprehensive care. In 2013, we carried out a dengue fever project, through fumigation and awareness-raising in the intervention area, the Colonia Jardín district in Acapulco. Through this action, we were able to learn about the reality of this population. The community component was essential in both the dengue fever project and in the current one. Since 2014, we have been working with a local team made up of residents of the Colonia Jardín itself. They explain who we are and what activities we carry out. We also offer psychosocial talks in different areas of the community. Promoting and raising awareness of mental health and sexual violence issues among the population is essential for breaking down myths and barriers and getting the residents to gradually start coming to consultations for the services offered by the project. Thanks to this strategy, many people who have been severely affected by the violence are learning about the existence of our services and going to them for help. About half of the patients who come to consultations are children who are suffering the consequences of violence. For example, we are treating children who have witnessed relatives being killed. In cases of this kind, developmental disorders are common, such as problems controlling urine or speech and behavioural disorders. In the absence of proper care, the problems tend to worsen and may have an irreversible impact on the lives of these children. 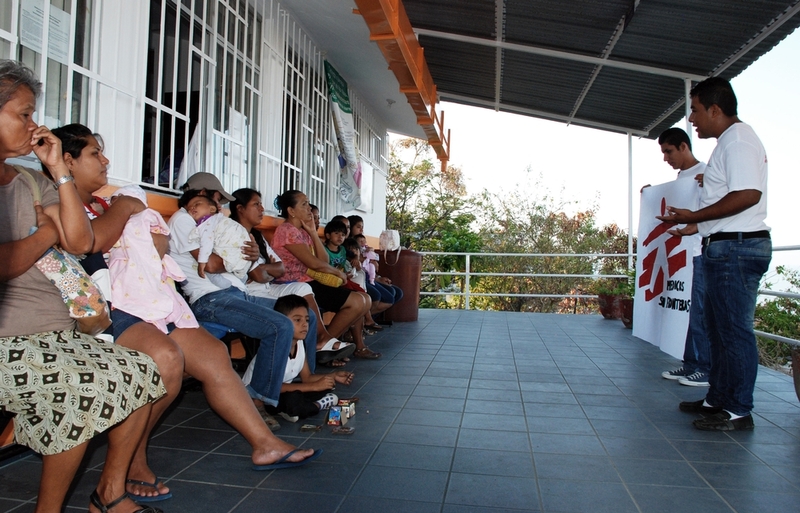 MSF has been carrying out projects in Mexico since 1985. In 2014, we treated around 21,200 people in across our projects and provided 2,000 mental health consultations.